Where Are O. J. Simpson’s Kids (Sons and Daughters), What Are They Up To? O. J. Simpson is a former NFL player who played for the Buffalo Bills and the San Francisco 49ers. As an athlete, he was head and shoulders above his peers, winning the Heisman Trophy in college and going on to become the only player to ever rush for over 2,000 yards in a 14-game NFL season. After retiring, Simpson was inducted into both the College Football Hall of Fame and the Pro Football Hall of Fame. He was portrayed as a national hero as he began a career in acting and broadcasting before he became infamous for his role in the murders of his ex-wife Nicole Brown Simpson and her friend Ron Goldman. 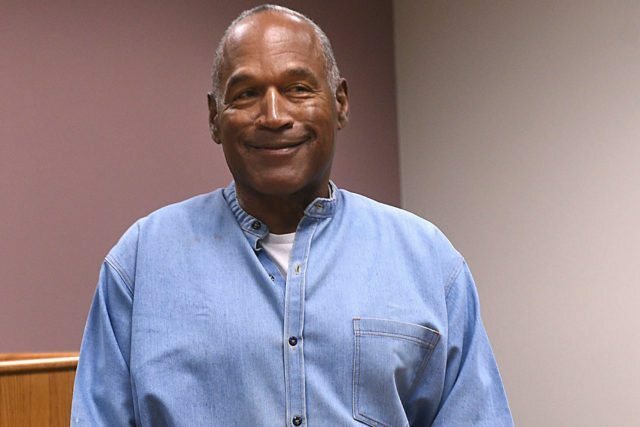 Read to find out more about O.J’s biography, his family, wives, and children. O. J. was born Orenthal James Simpson on July 9, 1947, in San Francisco, California to Jimmy Lee and Eunice Simpson. Simpson along with his siblings was however raised by his mother after their parents separated in 1952 when he was just five years old. The family lived in the housing projects of the Potrero Hill neighborhood in San Francisco. He attended Galileo High School, where he first began playing football. He played college football at the University of Southern California in 1968, where he won the Heisman Trophy, an award given to the most outstanding player in college football. Simpson entered the league as the number 1 pick in the 1969 AFL-NFL Common Draft. He was selected by the Buffalo Bills whom he played for from 1969 to 1977 before getting traded to the San Francisco 49ers whom he played for until he retired in 1979. Despite having had a lot of personal achievements, O. J. never won a championship. He in fact only played one playoff game during his entire 11-season Hall of Fame career. O. J. Simpson married his childhood sweetheart, Marguerite L. Whitley, on June 24, 1967, when he was just 19 years old. The couple had three children; Arnelle L. Simpson, born a year after their marriage in 1968, Jason L. Simpson, born in 1970, and Aaren Simpson, born in 1977. Simpson divorced Marguerite in March 1979. Two years before doing so, he had begun a relationship with Nicole Brown, a waitress he met at a nightclub. Simpson and Brown later exchanged vows in 1985 and had two children of their own. A daughter; Sydney Brooke Simpson born in 1985, and a son, Justin Ryan Simpson born in 1988. The marriage lasted seven years before Brown filed for divorce, citing irreconcilable differences. In 1994, Brown and her friend, Ron Goldman, were found stabbed to death in front of their apartment. Simpson was arrested and charged with both murders but was later acquitted in what was dubbed the trial of the century. Where Are O. J. Simpson’s Kids? What Are They Up To? Following the very publicized and controversial life of their father, O. J. Simpson’s kids have worked very hard to maintain a very low profile out of the spotlight. Here is a look at their individual lives. 1. 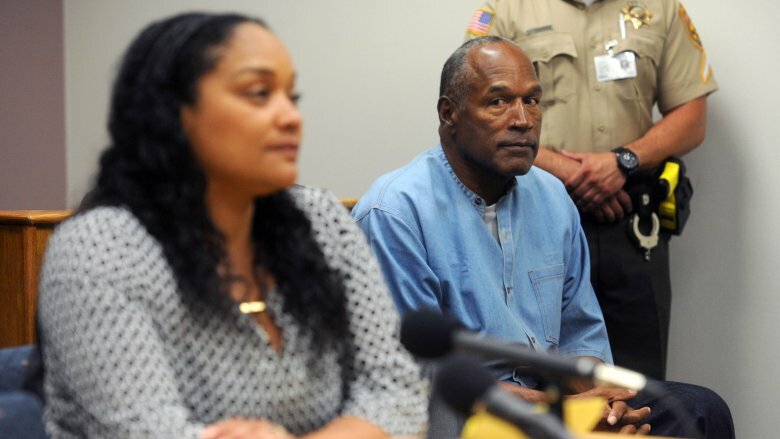 Arnelle is O. J. Simpson’s first child and also the closest to him. She appeared on behalf of her siblings at her father’s 2017 parole hearing following a 2008 armed robbery conviction. She also appeared by her father’s side in his 1995 trial for the murder of her stepmother and friend. While her father was away in prison, she was put in charge of handling all of his affairs and also catered for him after he was released until he gets back on his feet. 2. Jason Simpson, O. J.’s oldest son, is currently working as a chef in Atlanta, Georgia. He has worked in a number of high-end restaurants, including the flashy Italian restaurant; St. Cecilia. Jason had previously had hopes of going to the NFL after featuring heavily for the Army and Navy Academy in Carlsbad, California. 3. Aaren Simpson, O. J.’s third child died in August 1979, a few months to her second birthday. She drowned in the family’s swimming pool. 4. Sydney Brooke Simpson, O. J.’s third daughter and first child with second wife Nicole Brown, currently lives in St. Petersburg, Florida. She graduated from Boston University in 2010 with a degree in Sociology. Reports indicate that Sydney works in Real Estate and has even changed her name to make herself less identifiable by the public. 5. Justin Ryan Simpson, the youngest of all of O. J.’s kids, also works as a realtor in St. Petersburg. He has lived a conflict-free life and maintains a close relationship with his sister, Sydney.